On February 19, 2017, the Missouri women’s basketball team was up against sixth-ranked South Carolina to clinch a spot among the SEC’s top four. The teams were evenly matched, trading leads throughout the game. With 1:24 left in the game, the score was tied 58-58. South Carolina got two free throws, but Sophie grabbed an offensive rebound and tied the game at 60-60 with 35 seconds left to play. South Carolina had the ball, but teammate Leanna Doty took a crucial charge, which gave the ball back to the Tigers with 23 seconds remaining. Sophie drove inside from the left wing and blasted the ball into the basket to knock off South Carolina in the final seconds of the game. Sophie is carrying on a Tiger tradition. 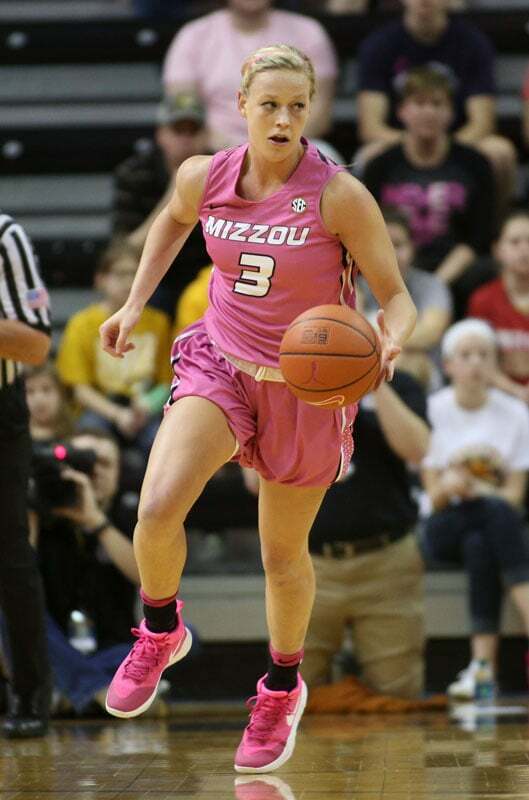 Her dad, Jim Cunningham, played football for Mizzou; her mom, Paula, ran track and field; sister Lindsey also plays basketball for Mizzou, following in the footsteps of their aunt; and both her uncle and grandfather played football for the Tigers.